Yeah, I can see that -- does that mean I could just ignore one of the pins, or remove one of the two circuits? Or is there a better way to do this? I made a bunch of the LF antenna PCBs for CCC and was very pleased with how they turned out -- it would be nice to repeat the same with an HF antenna, or better yet, one PCB that can do both. My first naive thought would be to take the LF PCB design, calculate / measure the total trace length, and then divide that length by 13.56MHz/125KHz =~ 100 -- then make a PCB with roughly the same shape, but fewer turns. To make one antenna that could do both, I would just interleave the turns of the coil. I have the strong suspicion that that won't work like I hope it will! If nothing else, when testing the LF antenna PCBs I noticed that the measured voltage read back using the 'tune' command dropped significantly if the antenna under test was sitting on top of another antenna -- I suppose that other antenna is absorbing some of the energy radiated by the unit under test, and that the same would happen if I had two interleaved coils. Anyone have any guidance they could give me? It's a bit hard to really experiment with this stuff on PCBs, since it's harder to change the trace-length and geometry on an already-manufactured PCB than it is to trim some wire or bend the loop into a different shape. But as most designed I found for RF, we need a common ground, and the proxmark doesn't provide one. I don't know anything about antenna, so I don't really know if it's really an issue though. The new revised PM3-LCD has common ground antennas. Bushing, do you have a proven PCB design that is known to work with the PM3? what about the antenna used by Mikey-card? Could this antenna used with PM3? If so it would be very cheap: 3$ plus shipping. No, I started this thread to try to *find* one. I'd be happy to have a few different cheap prototypes made, if we had some good candidates. Minimum order is around 100, but if you ask friendly you can get a batch of 30 or something. Did you manually soldered the antenna ground to the pm3 ground? There's no minimum purchase quantity, but you must spend at least $90 in their shop. 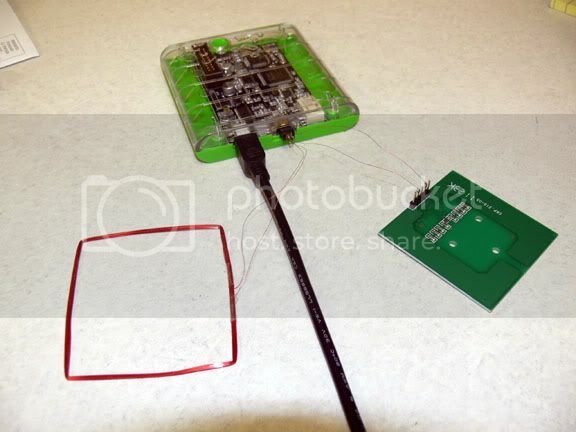 Please pardon my ignorance about the HF antenna but I have the same question as iZsh regarding HF PCB antenna like the one from SONMICRO. I purchased one. It has 5 pins called: GND - ANT1 - GND - ANT2 - GND. I assumed I would have a loop by soldering wires between PM3 HF leads on the Hirose plug and pins 2 and 4 .. ANT1 and ANT2 but get unstaisfactory result. Has anyone been sucessaful with this antenna for HF? Maybe I connect to wrong place? BTW - low freq antenna working well - purchased LF coil from Qkits in Canada. Thanks. @bushing have you found a solution at your problem? 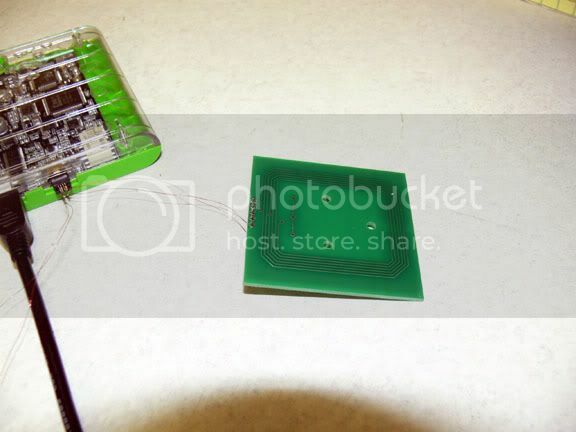 There is user laser sell PCB antenna for 13.56MHz but I don't understand if is working. These are two different transmission antennas that work together to get the maximum transmission. If you solder these two together, it won’t work. There have to be two separate grounds for both of these. Please remember that common ground won’t work as many people make that mistake. You can provide the same signal to both the inputs though.